just in time for the hot summer season, there’s help for summer make-up. 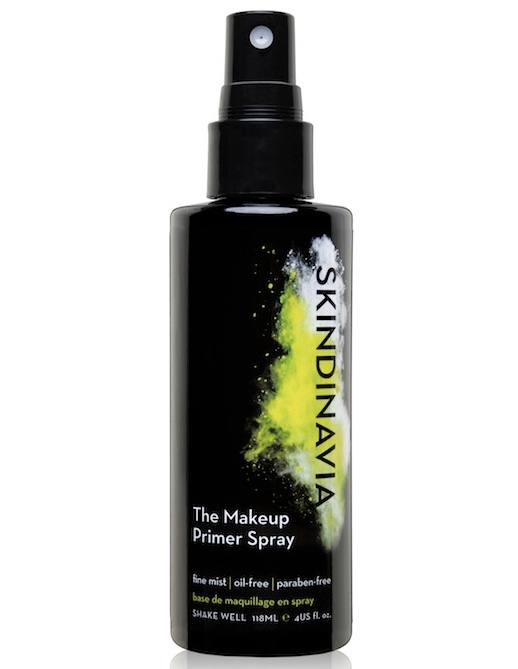 Skindinavia has an easy to apply spray makeup primer to keep your make-up in check! The “skincare meets makeup” essential is silicone-free and super lightweight, reduces redness and breakouts. This primer will not only protect the skin, but will cover to hold make-up for the occasion. The spray-on primer prevents the melted look that the heat often gives.. It helps to prevent the look of uneven skin, redness, and enlarged pores, reducing the need to touchup or blot to remove pesky shine. The primer creates a breathable layer between the skin and makeup with protection from ultraviolet sun rays, and can additionally be used alone as a protective layer. Additionally, Skindinavia’s primer is cruelty-free, paraben-free, and hypoallergenic. Spray-on primer the primer,just in time for the summer season, keeping the make-up in check!. Bonus prize: cruelty-free, paraben-free, and hypoallergenic. About $35 for a spray that last about 90 days. QUICK beauty fix: spray make-up primer written by Nadia Hartvigsen.